Printed paylight board, 470mm x 190mm x 4mm thick. FREE! 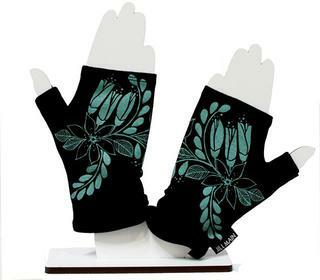 A great shop display to help keep our mitts contained within your store. Displays one pair of mitts and holds a further 24+ pair of mitts. This stand is aprox 25cm high and 28cm wide and is designed to display one pair of our merino mitts. It is laser cut from MDF and has a white vinyl finish. These stands are for our retailers to display our products in store. Keep our scarves contained in our click together display unit. Displays 3 and holds approximately 12 Scarves. 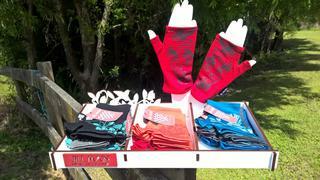 A great way to display and contain a selection of our Merino Headbands. Displays one Headband and Holds a further 18+ in the tray. 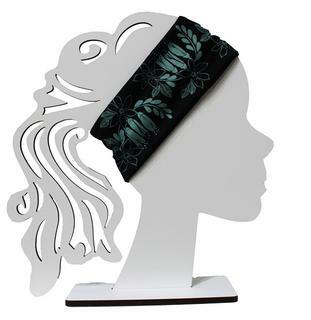 This stand is aprox 32cm high and is designed to display our berets and headbands. This stand shows some of our Aluminium range at it's best. If you'd prefer a different configuration, just ask and we'll make something especially to your requirements. 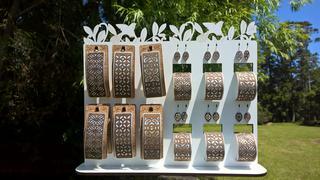 This stand shows our Laser cut veneer range at it's best. If you'd prefer a different configuration, just ask and we'll make something especially to your requirements. 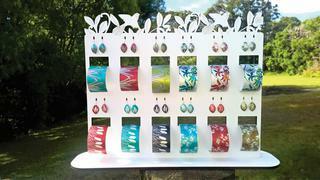 Displays 12 Hairclips, 6 Cuffs and 6 Earrings.